Zodiac are at least 12 artists: 1) Zodiac is a Blues Rock Band from Muenster/Germany, formed in 2011 and consisting of Members from Misery Speaks, Long Distance Calling and Rocketchief. Their self titled Demo came out in December 2011. Their first album called "A bit of devil" will be released on May 25th. (http://zodiak-rock.com/). Once Drummer Janosch Rathmer (Long Distance Calling) started jamming with guitar-wizard Nick van Delft in 2010 both decided that the songs that rose from their sessions had to meet the ears. 1) Zodiac is a Blues Rock Band from Muenster/Germany, formed in 2011 and consisting of Members from Misery Speaks, Long Distance Calling and Rocketchief. Their self titled Demo came out in December 2011. Their first album called "A bit of devil" will be released on May 25th. (http://zodiak-rock.com/). Once Drummer Janosch Rathmer (Long Distance Calling) started jamming with guitar-wizard Nick van Delft in 2010 both decided that the songs that rose from their sessions had to meet the ears. So they soon joined forces with Stephan Gall (Guitar) and Robert Kahr (Bass, Organ) (both play also in Rocketchief) to form the bluesdriven, heavy and sometimes psychedelic rock-formation that should go by the name of ZODIAC. The four musicians combine a longtime experience in the game and a common will to create interesting music. You can hear the influences of the classics: Zeppelin, Sabbath, Thin Lizzy and Maiden just to name a few. 3) Zodiac (??????) was a Soviet Latvian Electronic synthpop band from Riga, Latvia. Founded in 1979 and led by keyboardist and composer Juris Kulakovs, it was called Arka (The Arch). In the very same year, while recording their first album, Juris left the band because of a disagreement with the rest of the members. Keyboardist and composer Janis Lusens took leadership. In 1980, the band was renamed to Zodiac. All of the members were students at the Latvian State Conservatory. In the beginning, Zodiac played instrumental music only. Since sound equipment during that time was ill-suited to live shows, Zodiac was a studio-type band. In 1980, Zodiac recorded their first album - Disco Alliance. It resembled the type of synthesized electronic music similar to Space, Kraftwerk and Jean-Michel Jarre. Disco Alliance sold 20 million copies in the USSR. Andris Silis, Zane Griva and Ainars Asmanis left Zodiac, and in 1982, Ivars Pilka (bass guitar), Dzintars Sagens and Aivars Gudrais (both played guitars) joined the band. This line-up recorded their second album Music in the Universe. After recording it, Zodiac broke up. Although Music in Universe didn't reach Disco Alliance's commercial success, it was also well-appreciated by listeners. 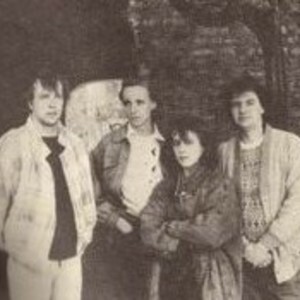 In 1987, Janis Lusens formed a band called Zodiaks (the same Zodiac, but in Latvian). Musically, the new Zodiac was unlike the former band. Now they played synthpop and electronic rock, which was quite different from Disco Alliance and Music in Universe. As the line-up shows, Zodiaks was a vocal-instrumental band. Their biggest success was in 1987 at the music festival Liepjas dzintars (held almost every year in Liepaja) where they won first place. In 1989 Zodiaks released the album In Memoriam, which contained only instrumental pieces. Later, the line-up changed again - Gatis Zvirgzdins and Dzintars Sagens (replaced by Aivars Gudrais again) quit. Zodiaks disbanded in 1991, when one of vocalists - Zigfrids Muktupavels, joined another band, Bet Bet. Zodiac last reunited in 1996 to release their album Dedication, which was actually reissued as In Memoriam. 4) Zodiac is a Swedish eurodance act consisting of Elise Myrberg and Jemma Myrberg. They were produced by H?kan Lidbo. Singles: "I Believe". 5)Zodiac is a German eurodance act, produced by Joadd One. Singles: "Ever More"
6) The Zodiac : Cosmic Sounds (also known, less correctly, as either The Zodiac by Cosmic Sounds, or Cosmic Sounds by The Zodiac - the sleevenotes were unclear) was a collaborative concept album on the theme of the signs of the Zodiac. It was issued by Elektra Records in 1967 and featured early use of the Moog synthesizer by Paul Beaver, with music written by Mort Garson, words by Jacques Wilson, and narration by Cyrus Faryar. 8) ZODIAC is an alter-ego band from the Japanese horror punk band BALZAC. The origins of this band date to 2004, when Japanese horror punk band BALZAC first released a CD entitled Zodiac Killer under the name of Zodiac and by playing live events under that name too. Both the name and lyrics of the band, as well as the merchandise, are based on the famous North American serial killer know as the Zodiac Killer. This cold-blooded assassin gained much recognition for his cruel killings and encrypted letters that he sent both to the police and newspapers. He was never caught. In 2006 the band created the Zodiac Fan Club (Z.F.C. ), an off-shoot of the Fiendish Club dedicated to the new band and only available for Japanese residents. They also released the first and so far only full-length album, Beware On Halloween. The musical style of Zodiac's songs have the same sound and style as old Balzac songs during that band's first years of existence. As they do with Balzac, the band has also released toys and clothing under Zodiac's name and image. 11) Zodiac was a Japanese heavy metal band formed in 1984. Released two demos and full-length called Hot Line. 12) Zodiac was a Japanese heavy metal band formed in 1988. Released one album called First.